We look forward to welcoming you to Hotel Mercure Maurepas St Quentin, in the heart of Saint-Quentin-en-Yvelines. The quietness of our rooms, the coziness of our bar-restaurant and the comfort of our facilities make for an extremely pleasant stay. Located on the outskirts of the business districts of Saint-Quentin-en-Yvelines and Trappes-Elancourt, not far from the Vallée de Chevreuse and the National Velodrome, the Mercure Maurepas Saint Quentin hotel provides an elegant setting for business or leisure stays. The Le Transat restaurant serves home-cooked food and you can eat on the terrace in summer. We have 5 modular meeting rooms that can accommodate up to 150 people, in a space especially designed to ensure the success of your meetings. The Mercure Maurepas Saint Quentin hotel is located on the outskirts of the business districts of Saint-Quentin-en-Yvelines and Trappes-Elancourt, close to the Vallée de Chevreuse, the Plateau de Saclay and the National Velodrome. Easy to reach by public transport or car from Paris with Transilien trains or the N10 highway. 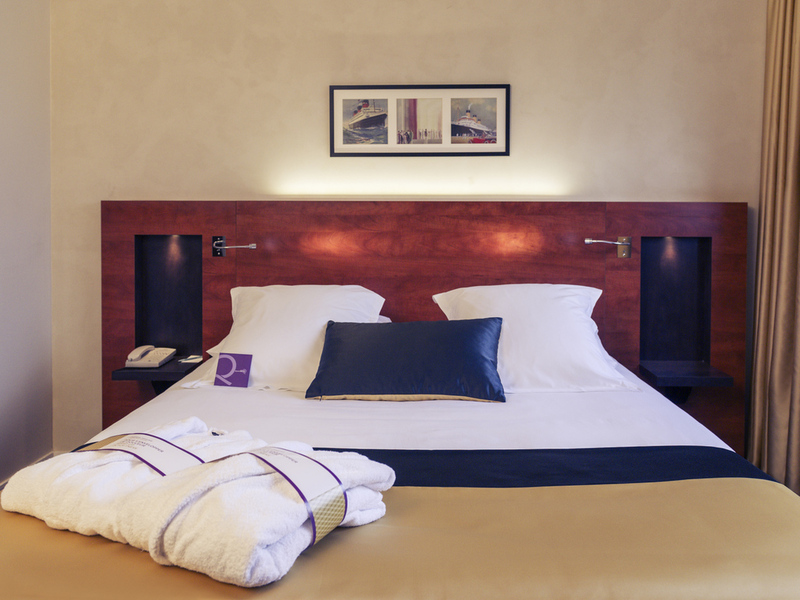 Our rooms offer cozy comfort and stylish furnishings. They are equipped with free WiFi, tea and coffee making facilities, hair dryer, satellite TV, safe and individual air conditioning. Le Transat restaurant offers homemade French cuisine. Daily specials from EUR 11.30 and set menus from EUR 15.30. Sunny terrace in summer. The original and intimate Le Teddy's bar is a great place to unwind in the evening.